Speculation over the fate of Vekselberg’s stake in the aluminium giant Rusal is in top gear after he resigned from the company’s board. 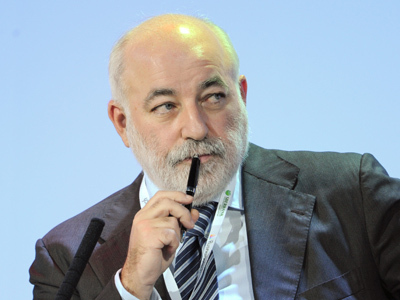 Should Vekselberg sell the setting up of a diversified Russian natural resources giant might be one step closer. Oleg Deripaska, Rusal’s chief, and Alisher Usmanov, the head of Russia’s iron ore producer Metalloinvest, are the most likely candidates, suggests Pavel Emelyantsev, an analyst at Investcafe. The Metalloinvest head “is quite likely to be interested in setting up a joint mining and smelting holding on the basis of Metalloinvest and Rusal,” he said. The story might move to the battle for control of Norilsk Nickel, one of the world’s largest metals producers. Deripaska’s Rusal currently holds a 25% stake in Norilsk Nickel, and Interros owned by Vladimir Potanin holds an estimated 47%. Both have vying for a controlling stake in Norilsk Nickel. 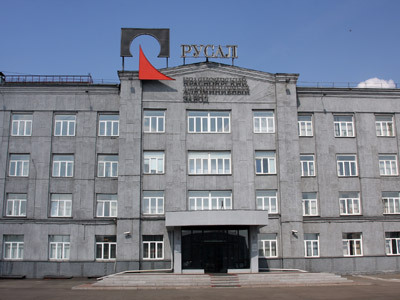 Potanin and Usmanov, who hold about 4%-5% in Norilsk Nickel, have often voiced the idea to create a Russian version of BHP Billiton – the world’s largest diversified natural resources company.“We see a common strategic goal to join the companies into one huge holding that will, along with non – ferrous metals extract iron ore. This is inevitable,” Usmanov said. Market players and analysts are mulling the future of a 15.8% stake in Rusal that belongs to Vekselberg and his partner Leonard Blavatnik through Sual Partners. Sources said yesterday that so far Vekselberg wasn’t going to sell his stake. Deripaska himself also says Sual Partners isn’t likely to sell it’s stake any time soon, as currently there’s a good chance of negotiating a better price. "It seems to me that Viktor Vekselberg,even receiving proposals [on selling the stake in Rusal], routinelydeclines them to increase the price," Deripaska said. However, should Vekselberg finally make an offer, Rusal’s principal shareholder En+, a diversified mining, metals and energy group belonging to Oleg Deripaska, is prepared to consider the purchase of a 15.8%share in the aluminium company from Sual Partners, Deripaskatold journalists. "We have the priority right," he added. The chances that Sual's share could be sold to a shareholder other than En+, such as Mikhail Prokhorov’s Onexim Group, or Rusal’s minority shareholder and commodities producer and marketer Glencore,isonly theoretical, Deripaska said.“This [a sale to somebody else] is impossible practically, considering the structure and history of our relations," he added.